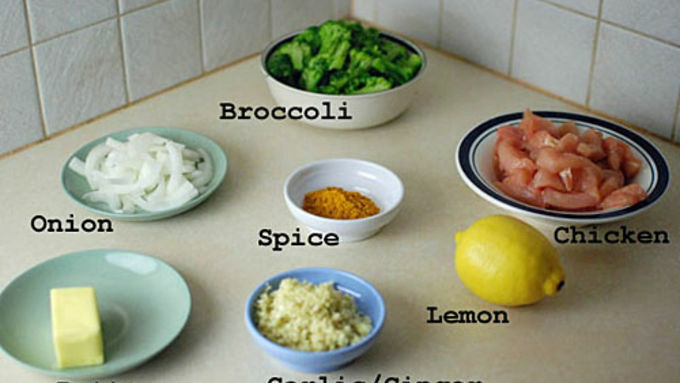 This stir fry cooks up quickly, so prep all your ingredients before you begin cooking: Cut onion in half, and cut each half into 1/4-inch slices. Cut chicken into strips. Roughly chop the broccoli into bite-sized chunks. 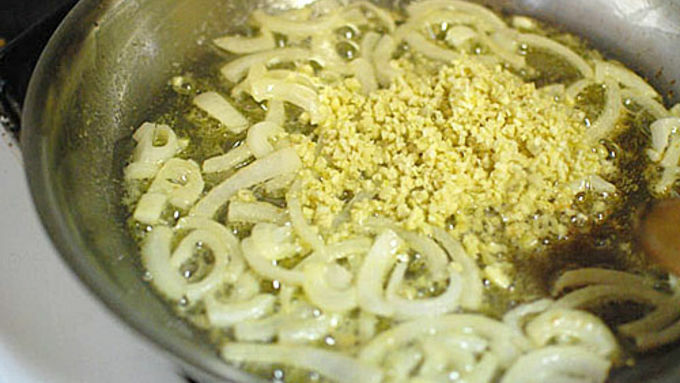 Mince the garlic and ginger together to form a chunky paste. 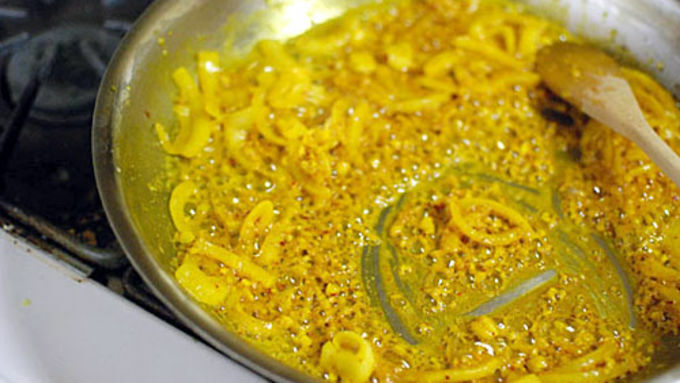 Finally, make a spice blend with the cumin, chile and turmeric. Saute the onions in the butter until softened, about 5 minutes. Add the ginger and garlic paste and cook 1 minute more, until fragrant. Add the spice blend. Cook 1 minute. Turmeric is a very interesting yet often misunderstood spice. It may seem exotic to you, but most of us eat more turmeric than we think! This is because it is used as a natural food coloring in many off-the-shelf food products, especially yellow mustard. Another reason that turmeric is misunderstood is that it has a very short shelf life. In my opinion, after five months in your cabinet, it has lost about half of its potency. A few more months and it develops a musty, almost moldy scent. And unfortunately whole turmeric sticks are hard to find and not very convenient to use in the kitchen. So be sure to buy the powder in very small quantities and write the date on the package! 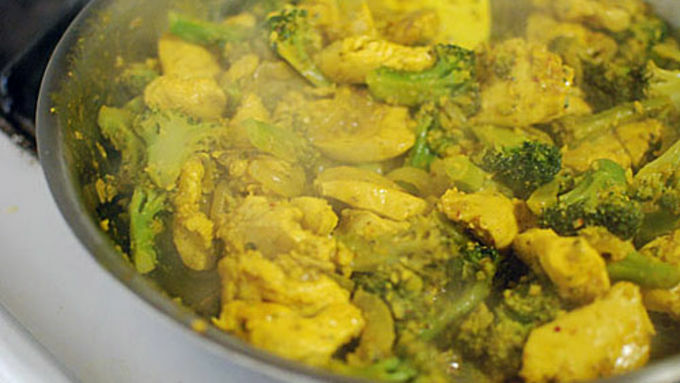 Turmeric shines in curries or with similar species like ginger and cardamom. I like mixing it with ground beef and onions to make Persian-style meatballs. Not many Middle Eastern dishes are complete without it! This simple stir fry really lets the turmeric flavor (and color) come through in the final dish. 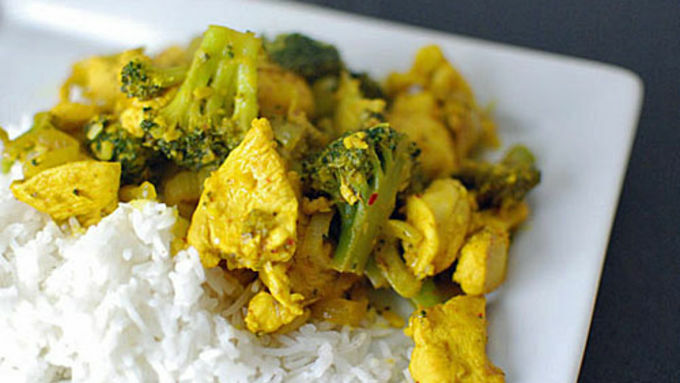 It's so vibrant, and a nice change from your standard chicken and broccoli stir fry. Serve with rice and see just how good it is! 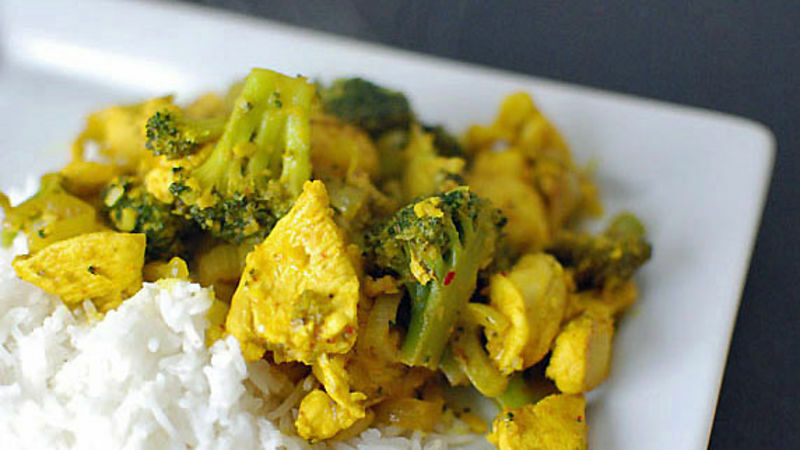 You'll be Googling more turmeric recipes by the time you finish eating.